Snapchat is one of the coolest social apps out there, but it’s far more than just the latest craze for Millennials…it’s also one of the world’s best branding tools. 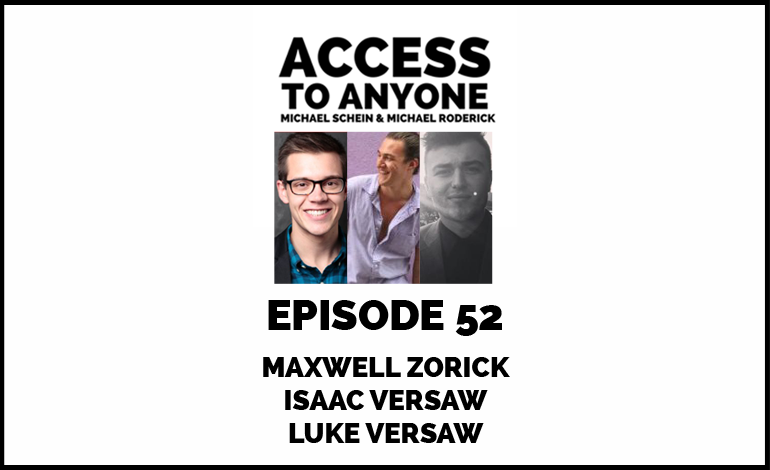 Today experts Maxwell Zorick, Isaac Versaw and Luke Versaw tell us why Snapchat is changing the way the world communicates, and explain how brands can use it to build deeper relationships with their audiences. They also discuss the power of persona, how to take a more creative approach to content, and explore whether or not social media has replaced traditional offline interactions. As Manager of Partnerships at Purpose, Maxwell Zorick works on the frontlines developing the collaborations that both grow Purpose’s impact and empower their partners to create real change in the world. He has a background in philanthropy, politics and policy. Isaac Versaw is a writer, designer and artist. He is currently a Social Copywriter for the award-winning digital advertising agency, Deutsch. Luke Versaw is Sittings Assistant at GQ, who previously worked as a stylist assistant and closet assistant for top fashion magazines including Lucky and Condé Nast.